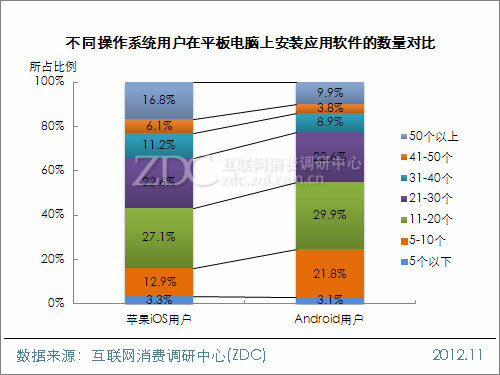 The trend report of tablet PC user in China (Apps Edition). 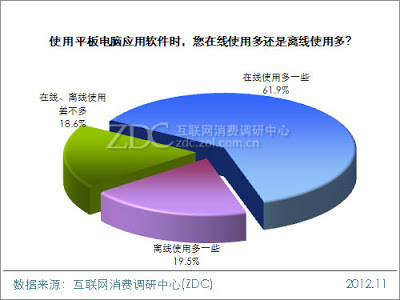 The last time, I introduced the summary of tablet PC user report in China. 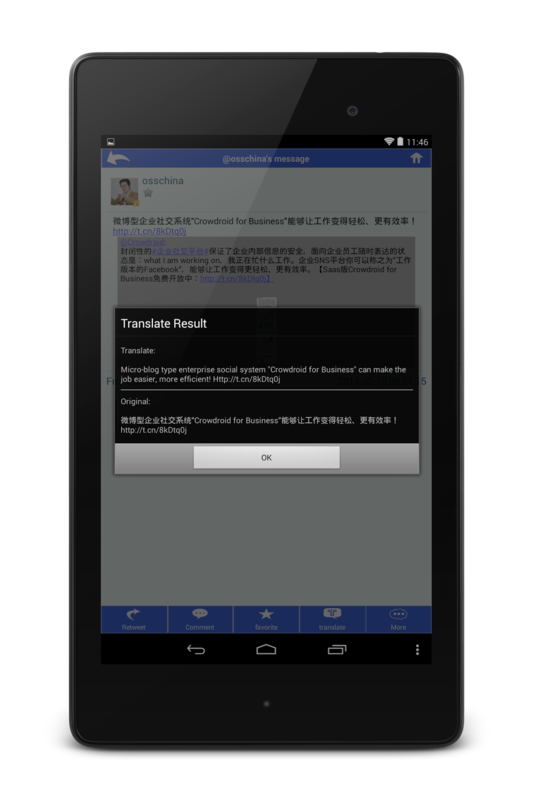 And today, I will introduce the report that focused tablet apps. 1. 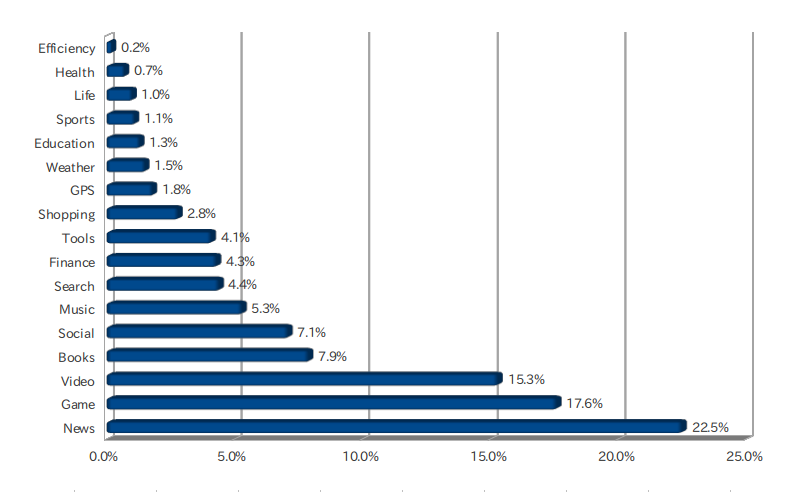 How many apps installed in your tablet PC? 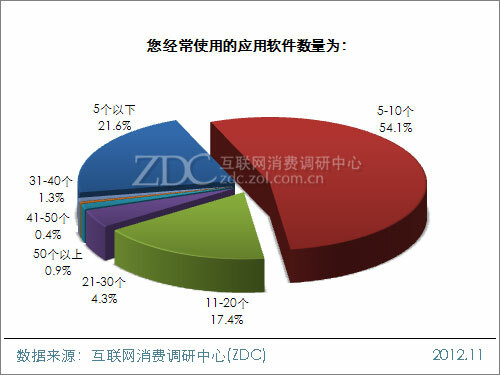 And the diagram below is a breakdown by each smartphone OS. 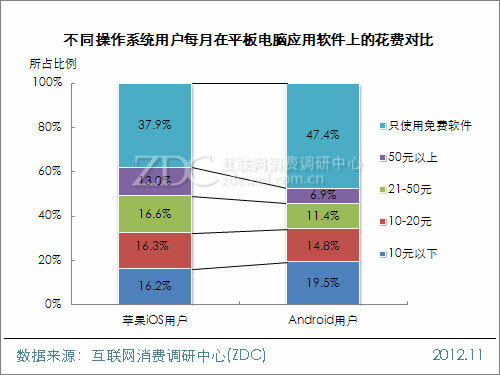 Left diagram is the data of iOS user, and right diagram is the data of Android user. 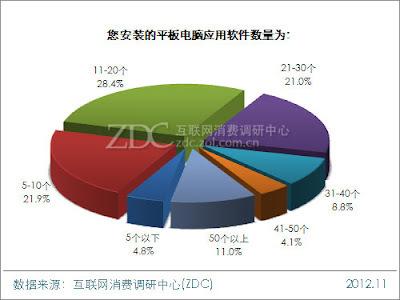 Watching this diagram so far, it seems that iOS user tend to use more apps than Android user. 2. 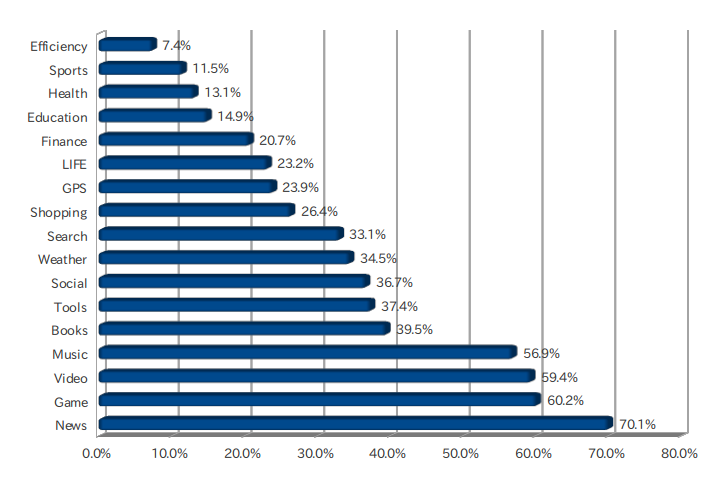 How many apps do you often use? 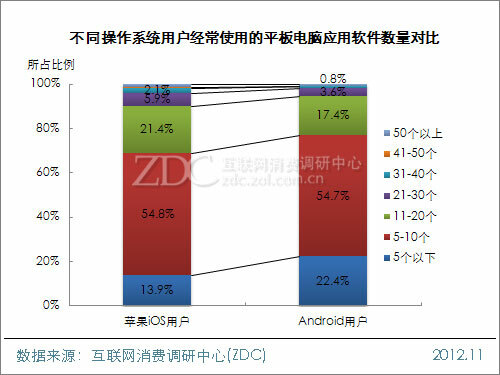 Left diagram is the data of iOS user, and right diagram is the data of Android user. 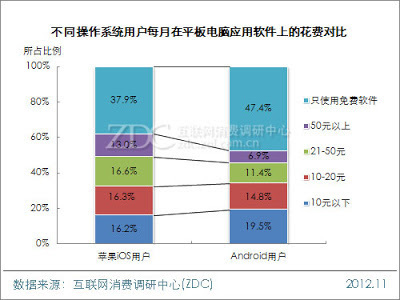 And about the often using apps is also the same result that iOS user also tend to use more apps than Android user. 3. Online or offline, which case are you using more time on your tablet? 4. Which type of apps have you installed? News apps is the most popular one, but this is a convincing result. Because the last report also said the most popular purpose of using tablet PC is reading the news. 5. Which type of apps do you often use? 6. Usually, where do you download your apps? 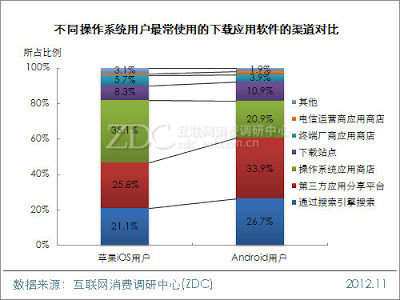 Left diagram is the data of iOS user, and right diagram is the data of Android user. Google have not provided their Play Store market in China, and generally the regular Android devices in China are not installed Play Store apps. So as a result, the downloading from third-party app store is the most popular method. 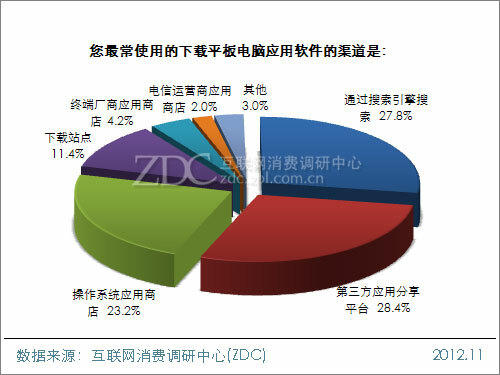 And about iOS, 42.4% of iOS user jailbreak their devices in China. So as a result, it seems that the percentage of downloading from third-party app store is relatively high. 7. How much spent for apps in a month? 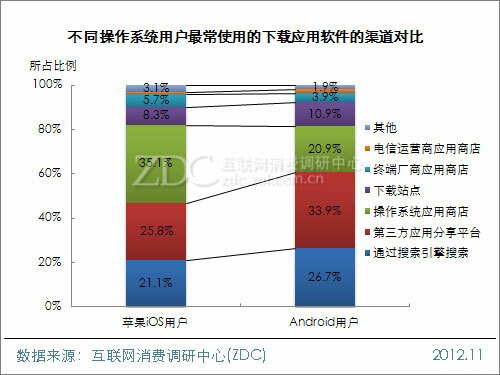 Watching this diagram so far, it seems that iOS user tend to spend more money for apps than Android user. 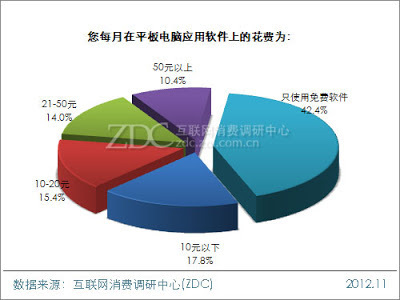 As I reported before, the sales volume of tablet PC in China was 2,604,000 units in the third quarter, and this volume is estimated to continue increasing in future. So for many apps developer, there is a lot of chance in Chinese tablet PC market.